After running several trail ultramarathons in the 50 kilometer (~33 mile) distance and the Mountain Masochist Trail Run 50-miler, I was eager to take my trail running to the next level. 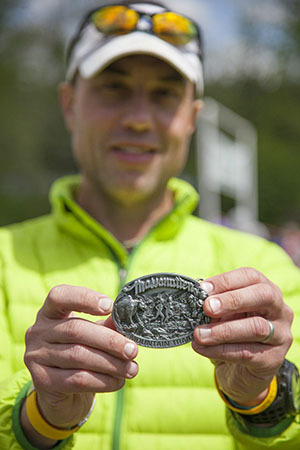 So in January 2014, I put my name in for the Massanutten Mountain Trails 100 Mile Run (MMT100). Of course after I did that I wondered, what was I thinking?! 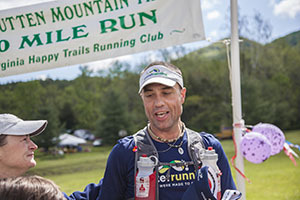 The MMT100 is a challenging 100-mile trail ultra over a demanding, rocky course in the Massanutten Mountains of Virginia’s Shenandoah Valley and includes rugged mountain climbs that total over 18,000 feet. And as I found out later, it is actually more than 100 miles – 103.7 miles to be exact. To prepare, I began a running program consisting of back-to-back long runs, tempo runs, and runs with hills with significant elevation. However, upon reading other personal training programs and blogs, I soon realized that something was missing. That something was cross-training and this is where Clay Fitness and Nutrition came into play. even healthier, energy-rich foods to accommodate my ever-growing caloric needs. I credit my success to Hyam and her training plan. Her training enabled me to run/power-hike the numerous 1000ft or more climbs. Her nutrition plan, both during training, and on race day were essential components of a great race. You do not have to be training for an ultramarathon to gain the benefits from Clay Fitness and Nutrition. Hyam and her team will put together a training/nutrition program that will suit YOUR needs and goal.